Soldiers had emerged as the real power of the Lahore Durbar in the years following Maharaja Ranjit Singh’s death. Maharani Jind Kaur could only look on as her brother and the wazir of the Lahore Durbar, Jawahir Singh, was executed by soldiers of the Khalsa Empire in 1845. The Khalsa Army was no longer under the command of the crown or its appointed commanders. In the years following Maharaja Ranjit Singh’s death in 1839, as the empire went through a period of political instability, the soldiers had found themselves increasingly drawn into the political arena. In quick succession, various claimants to the throne had bribed segments of the army to back their claim. Their numbers had increased drastically since the days of Ranjit Singh. Towards the end of the maharaja’s life, the Khalsa Army was around 80,000-strong. It was an overgrown military machine that had helped Ranjit Singh expand his empire from a small fief to an area that included parts of Kashmir, Afghanistan, Punjab and Bahawalpur. Many claim he would have swept the entire Indian peninsula had he not been hemmed in on all sides by the British. 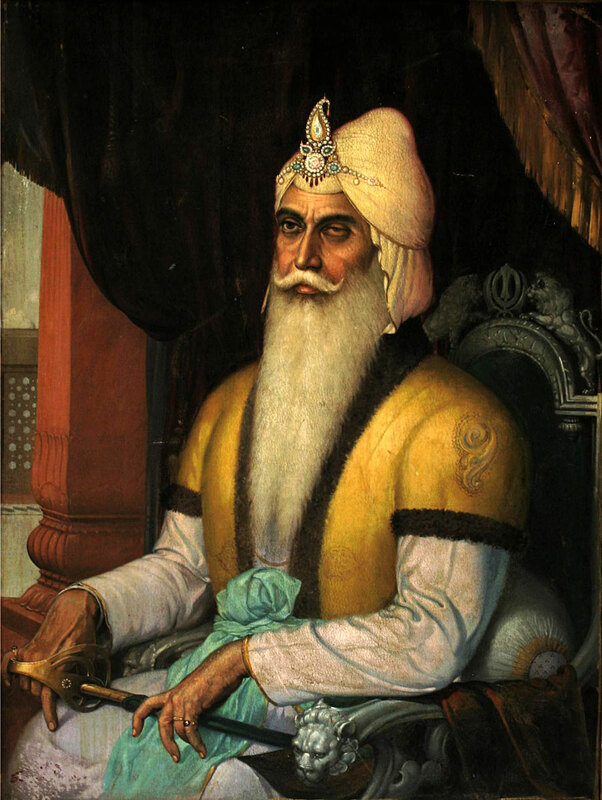 Unlike the Marathas, Ranjit Singh realised that his military might will not withstand a British onslaught. Hence, he chose to sign a peace deal with them rather than go the way of confrontation. On the eastern bank of the Sutlej river, the British monitored the unfolding of the Lahore Durbar carefully. They had seen the assassination of one maharaja after another. They observed as powerful wazirs found themselves at the mercy of the Khalsa soldiers. At the time of Jawahir Singh’s assassination, the army had expanded to 120,000 soldiers with their salaries increased manifold since the time of Ranjit Singh. But despite their size and the fact that they possessed the latest technology, the British did not think much of the Khalsa Army. Various British officers, in their letters, referred to the army as a mob. The British were of the impression that the increasing political role of the soldiers had rendered them ineffective on the battlefield. Thus, in the years following Ranjit Singh’s death, the British started the process of militarising Punjab. With their growing involvement in politics, the soldiers had developed a bureaucratic mechanism of their own. Instead of exhibiting loyalty to their commanding officers, they reported to Panches selected by themselves. These were soldiers appointed from within their ranks to represent the grievances and concerns of the soldiers. The system was modeled on the panchayat system from where the word Panches is derived. Given the political turmoil that followed Ranjit Singh’s death, the soldiers took it upon themselves to protect the sanctity of the Khalsa Empire, a glorious empire bequeathed to them by their Sher-e-Punjab. Shortsighted nobles were sabotaging the crown for their own interests with the commanding officer a part of this corrupt elite. And with the grave threat on the eastern frontier in the form of the British, the soldiers started believing they had to take charge to ensure the empire’s survival. The ruling elite also knew they needed the support of the soldiers if they were to secure the throne for themselves. After the freak death of Ranjit Singh’s talented grandson Nau Nihal Singh in 1840, Sher Singh, one of Ranjit Singh’s sons, started vying for the throne, convinced he was the right person for the job. 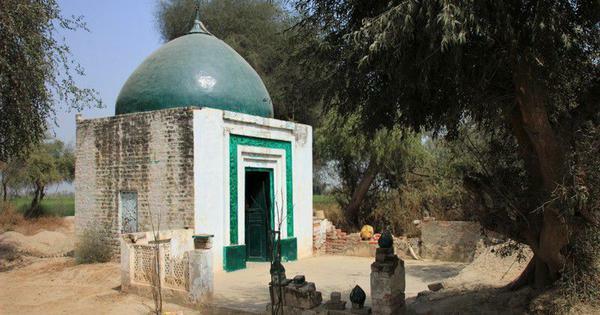 However, in Lahore, Nau Nihal Singh’s mother Chand Kaur had taken over the throne as regent, as she claimed her daughter-in-law was pregnant with Nau Nihal Singh’s son. To weaken the Lahore Durbar, Sher Singh started bribing sections of the army. And in 1841, he besieged the Lahore Fort, capturing the regent and her supporters. The Khalsa Army had already been bought. But even with the rise of Sher Singh, the Panches remained an important, independent power house. 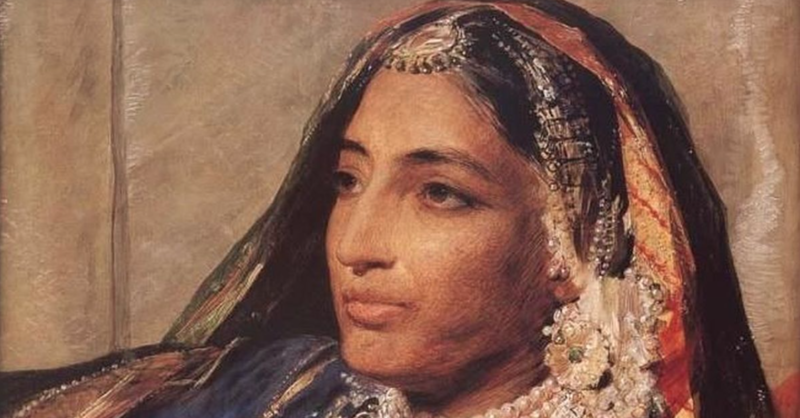 Maharani Jind Kaur, the youngest wife of Ranjit Singh, also knew where the real power lay when in 1843, after the assassination of Sher Singh, the army declared her six-year-old son Duleep Singh the maharaja. She turned to the army to get back at the wazir, Hira Singh, for a slight. She appealed to the passion of the soldiers, protectors of the Khalsa Empire, to avenge the humiliation the wazir had wrought on their maharani, the wife of Sher-e-Punjab. A decision was made and the Panches put Hira Singh to death. The maharani had won her battle. And her brother, Jawahir Singh, took up the post of wazir. Maharani Jind Kaur knew where the real power lay – with the mighty Khalsa Army. But the tide soon turned. This time, the Panches wanted to put her brother to death. The justification was another insult, meted out to another family member of the great maharaja – his son Peshura Singh no less. After the ascension of the boy king, Peshura Singh had risen in rebellion against the Lahore Durbar and was put down by the wazir. He was captured, ordered to be brought to Lahore and executed on the way on the orders of Jawahir Singh. The Panches would have none of it. How dare a wazir take the life of a scion of Maharaja Ranjit Singh! The Panches met and it was decided that Jawahir Singh would be put to death. The maharani pleaded with the soldiers but they had made up their minds. On September 21, 1845, Jawahir Singh was executed outside the walls of the Lahore Fort. A new wazir, Lal Singh, was appointed. He was rumoured to be the lover of the regent. But it was the soldiers who held the true power. As for the maharani, still reeling from the loss of her brother, she had other plans. She decided, along with Lal Singh and the head of the army Tej Singh, that it was time to cut the power of the soldiers. An anti-British frenzy, which had been part of rhetoric for a few years, given their rising military presence on the eastern front, was unleashed from the top, while representatives of the Lahore Durbar started reaching out to British officers across the Sutlej, expressing their fidelity. The plan was to put the soldiers in a war in which their defeat was assured. On December 11, 1845, urged on by their commanders, the soldiers crossed the Sutlej and thus began the First Anglo-Sikh War. A few months later in March, the Treaty of Lahore was signed, assuring the British over-lordship over the affairs of the Lahore Durbar. The maharani and her entourage had achieved their purpose of reducing the might of the soldiers but a new set-up brought with itself a whole new set of problems. 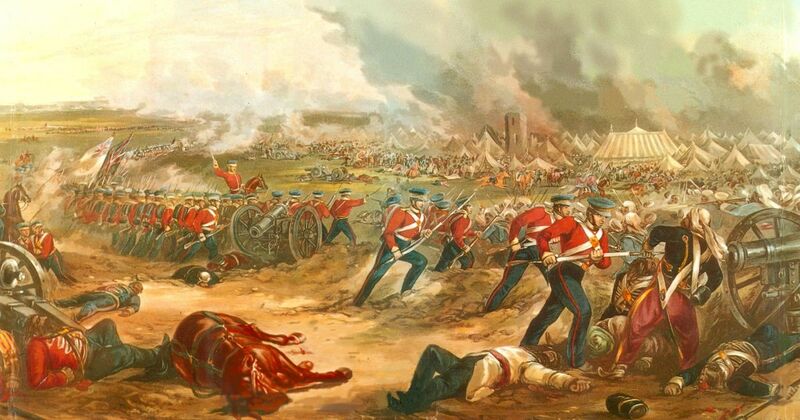 In April of 1948, a little incident in Multan provided the British with an excuse to begin the Second Anglo-Sikh War, paving the way for the annexation of the Khalsa Empire on March 30, 1849.